Dear Applicants, Do you want to apply for ILBS Recruitment 2019? If yes then Institute of Liver and Biliary Sciences, New Delhi has published an advertisement for 331 Posts. There vacancies are available for Sr.Resident, Professor & Other. Interested & Eligible participants can apply online for ILBS Senior Resident Vacancy 2019. Online registration for ILBS Jobs have started from 06.02.2019. 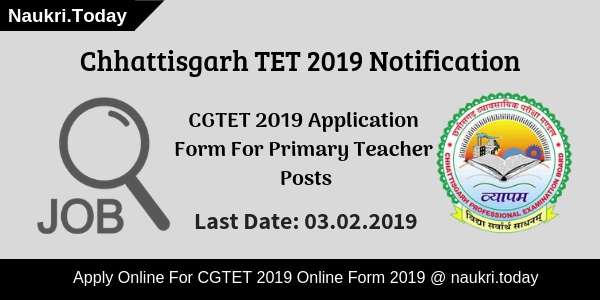 Candidates can fill application form till 15.03.2019. For more details relevant to selection process, eligibility criteria, applicants can read the article carefully. I Am Getting Problem In Uploading Photograph & Signature To ILBS Vacancy Application Form 2019? If you are getting problem in uploading image then your photograph may not be of prescribed size. Photograph size should be of 50 KB to 150 KB to upload in the application form. Your signature should be of 10 KB to 20 KB. For more information, applicants can read the ILBS Notification 2019. 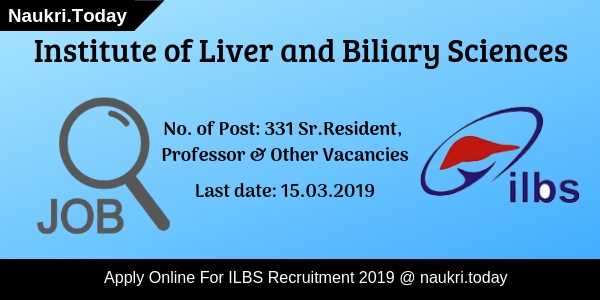 Conclusion: Institute of Liver and Biliary Sciences, New Delhi has issued notification for 331 Senior Resident, Professor & Other Vacancies. Participants can apply online for ILBS Recruitment 2019. Candidates should fill online application form for ILBS Delhi Vacancy before or on 15.03.2019. Institute of Liver and Biliary Sciences has published notification for 488 Junior Patient Care Executive, Nurse & Other post. Candidates who are waiting for ILBS Recruitment 2017 have a chance to apply online application. Eligible Candidates may fill ILBS Patient Care Executive Jobs Online Application on or before the last date 31.01.2017.ILBS is inviting online application for recruitment of 488 Institute of Liver and Biliary Sciences Vacancy. This is a great opportunity for all the candidates who are searching ILBS Vacancy 2017. 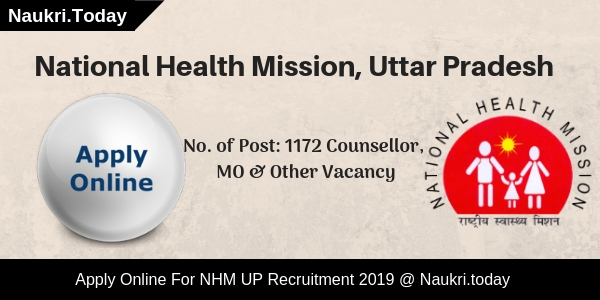 Online Registration link will be disabled on 31.01.2017, So inserted candidates should fill ILBS Hospital Nurse Vacancy Application form before the closing date. For more details like Pay Grade, Education Qualification etc. which is given below. Education Qualification for ILBS Delhi Vacancy 2017 : Applicants should have done Diploma in Nursing with Minimum 02 years experience in any reputed hospital for ILBS Patient Care Executive Jobs 2017. You can check post wise Required Qualification for ILBS Delhi Recruitment 2017 from official Notification. For Post No. 1 to 7 : Candidate upper age should be 66 years. For Post No. 8 & 16, 46 to 53, 56 to 60, 62 – 64, 73 to 75 : Participants age limit should not be more then 55 years. For Post No. 17 to 30, 41, 54, 68 to 70 : Applicants upper age limit should be not exceed 50 years. For Post No. 31, 65 to 67, 71: Participants age limit should not be exceed 45 years for ILBS Vacancy 2017. For Post NO. 32 to 35,37, 38, 44, 45, 55, 40 : Candidate above age limit should be 40 years. For Post NO. 36, 39, 40, 43, 72 : Applicants age limit should not be more then 35 years. For Post No. 42 : Participants age limit should not be exceed 30 years for ILBS Hospital Recruitment 2017. Application Fee For Delhi ILBS Jobs 2017 : General/OBC Category candidates should be paid Rs. 500/- for applying ILBS Jobs Online Form. SC/ST/ESM Category candidates must be Paid Rs.100/- for ILBS Vacancy 29017. Pay Scale for ILBS Hospital Jobs 2017 : Selected candidates will be paid pay band as per Department Norms for ILBS Junior Nurse Vacancy 2017. Check Post wise Pay grade for Delhi ILBS Hospital Vacancy is mentioned in above Table. Selection Process for ILBS Junior Nurse Recruitment 2017 : Selection of the candidates for ILBS Recruitment 2017 will be on the basis of Test & Interview. First of all applicants log in official website at www.ilbs.in. Then should search “ Career Opportunities” section and click on it. New page is open on the Official website. Read all details carefully from ILBS Recruitment notification 2017. Then click on the “ Apply online “ link for ILBS Patient Care Executive Nursing Posts. Then Upload you scanned signature and pass port size photo. Then should recheck all detail after filling online application form. Delhi ILBS Recruitment 2017 For 488 Patient Care Executive, Junior Nurse & Other Vacancy. Candidates should apply online application for ILBS Hospital Nurse Vacancy on or before the last date 31.01.2017.